The Red Sea is a vital part of our planet. By increasing our knowledge and understanding, we can help preserve this precious resource for future generations. We hope you find these resources a helpful start in gaining that knowledge. Download a PDF of our Coral Reef research paper. Reef Chief has many partners in this great cause. Please click on the links below to learn more about their efforts. An intergovernmental organization dedicated to the conservation of coastal and marine environments. Organization committed to saving the Red Sea’s coral reefs from destruction. 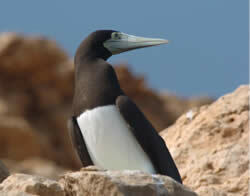 The commission exists to preserve all wildlife in and along the coast of Saudi Arabia. A volunteer, ocean organization designed to save coral reefs throughout the world.